If there are hoops around, I will find them. 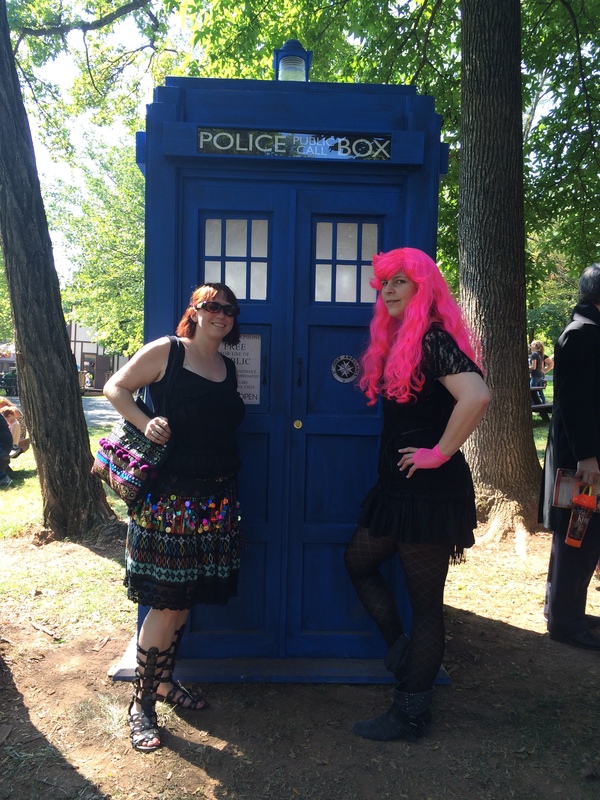 Joan and I went to Time Travelers Weekend at the Pennsylvania Renaissance Faire on Saturday. We had a great time! Don’t you just love Joan’s pink wig? 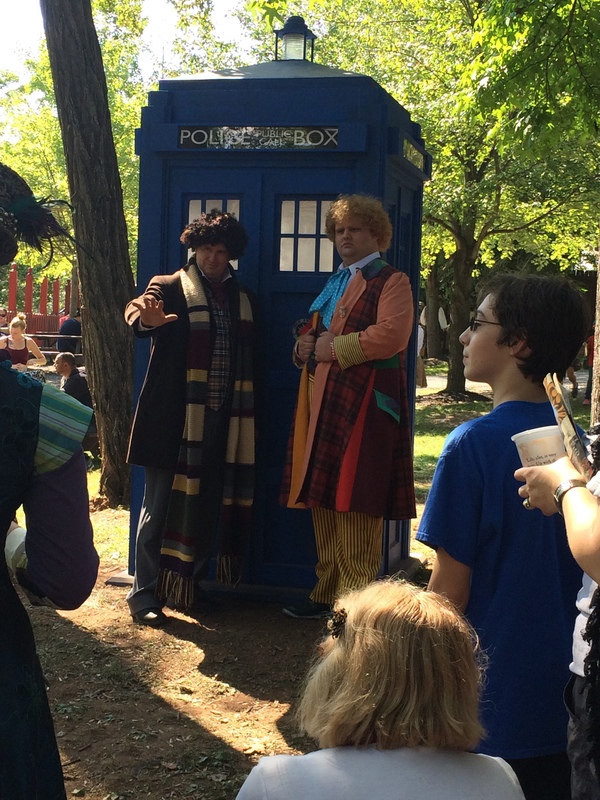 The Fourth and Sixth Doctors! 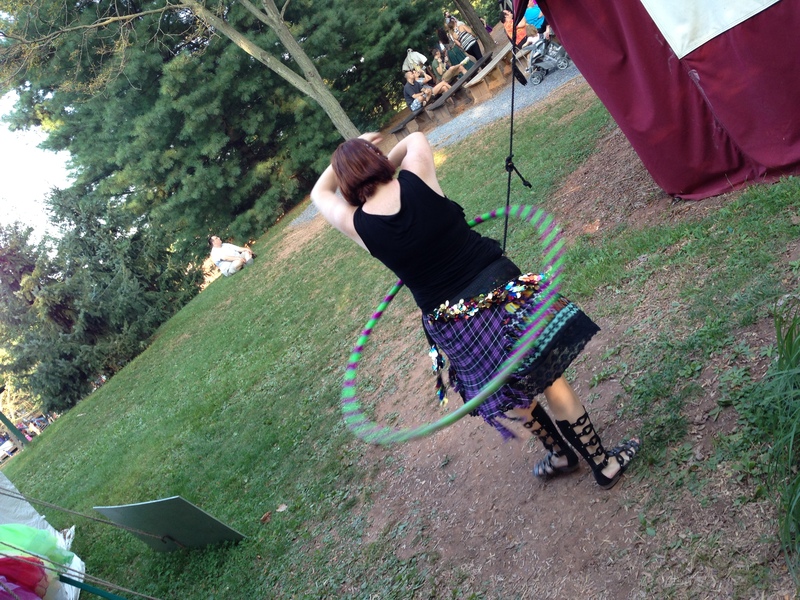 During our travels around the faire, I came across a lovely vendor called Aeri Rose that had two hula hoops out for playing around with. I had been wondering if there would be hoops around. And I found some! Of course, I had to play. Joan did, too. 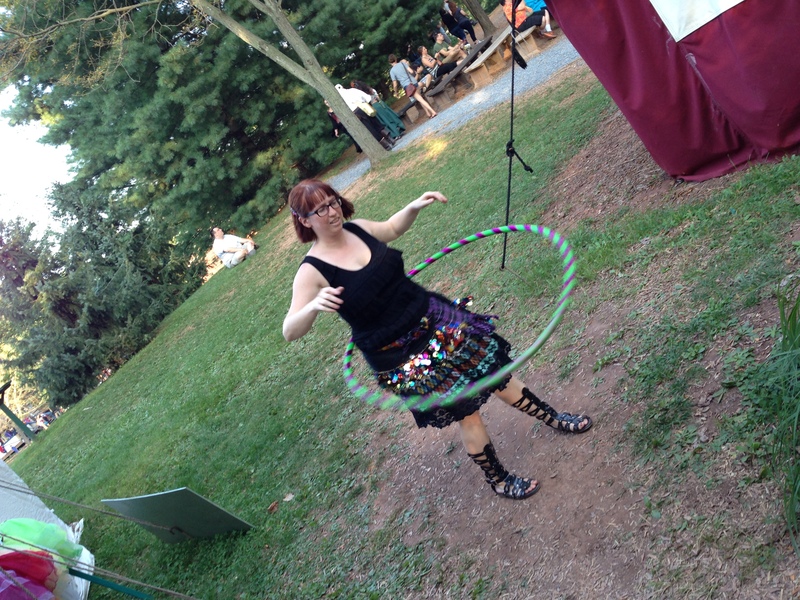 We both hooped and had fun. I told the girl there I would be back. 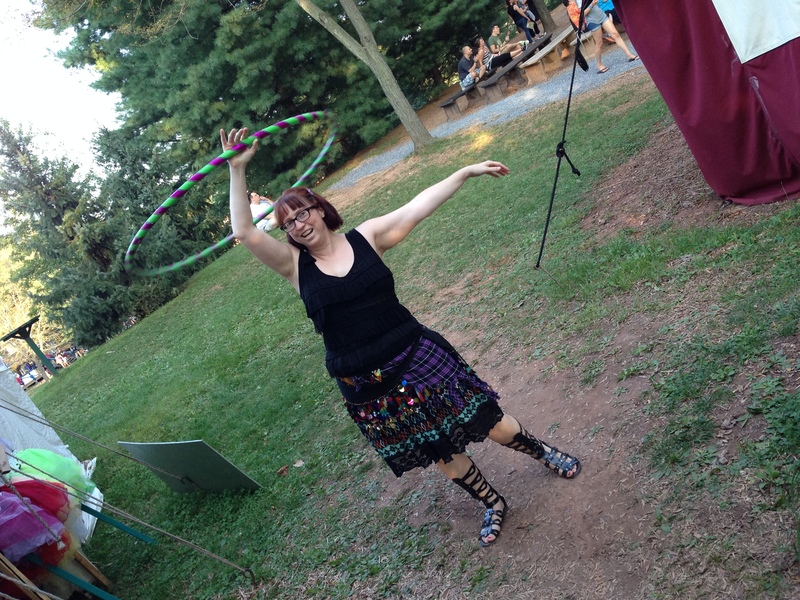 Joan and I did go back, and did hoop again, and this time Joan took some picture of me. I did end up purchasing a pair of striped tights and a pair of knee high striped socks from the vendor that had the hoops and kindly let us play. They will make excellent costume pieces. 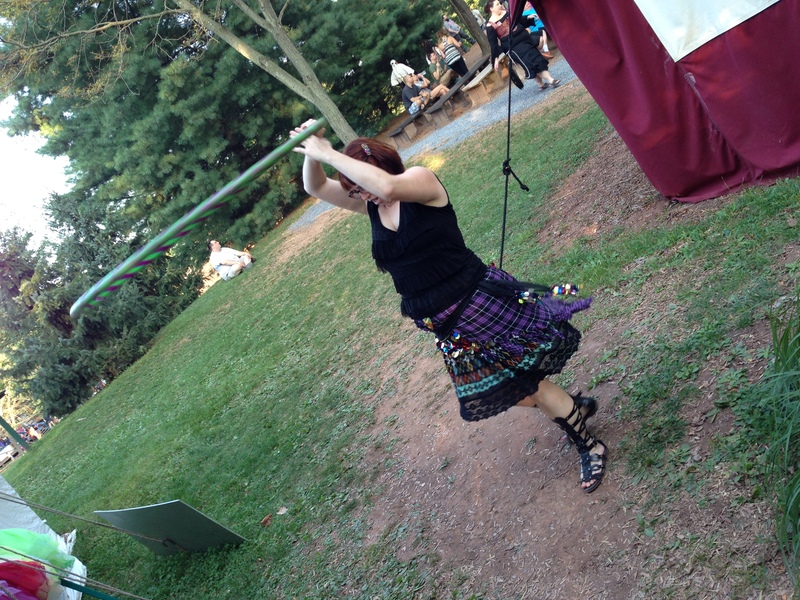 It was a hoopy happy time at the Faire.